Limited edition giclée fine art prints in various sizes, on paper or canvas. 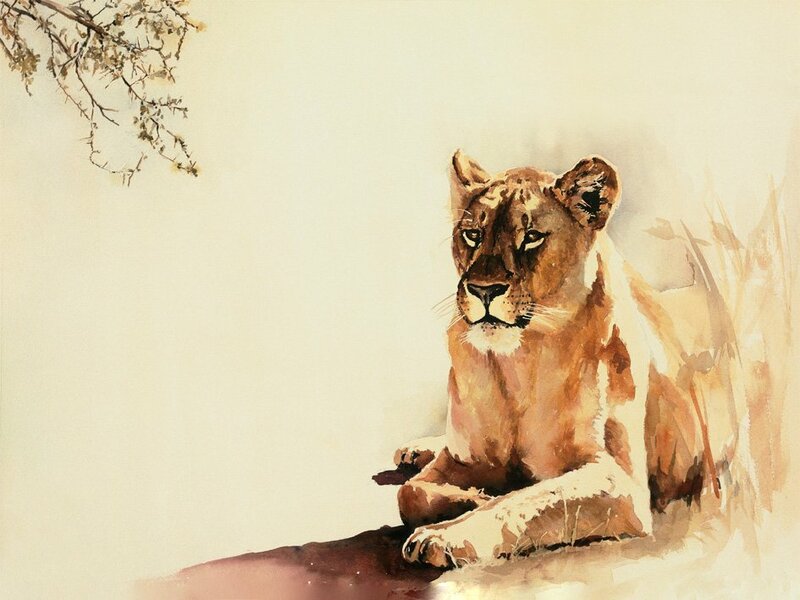 Art Print of a Male Lion. 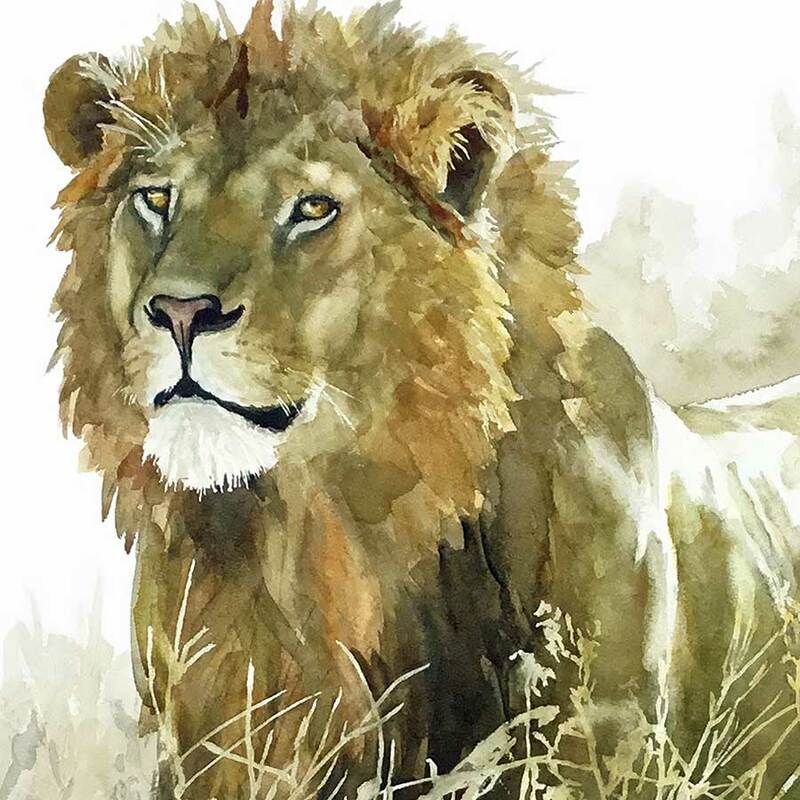 Art Print of a male lion. 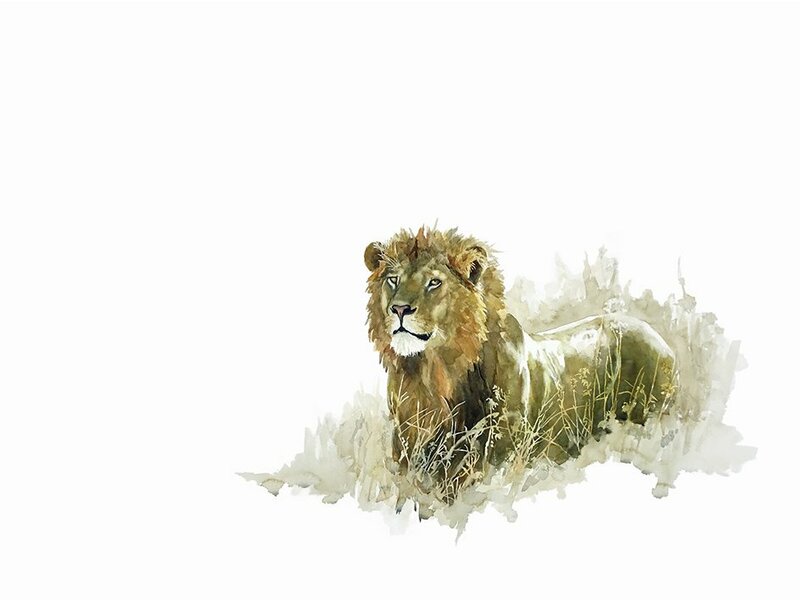 Limited edition giclée print of a majestic male lion standing in thick grass. A lion pride consists of a few adult males, related females and cubs. Groups of female lions typically hunt together. Sue Dickinson Sue Dickenson Sue Dickison Sue Dixon Sue Dickerson. Animal art is also known as wildlife art. Lions can often be seen in sculptures and paintings. Animal art is also called wildlife art. Male lions are known for being active at night and at twilight. This wildlife print of a male lion is typical of their confidence. Africa’s top predator is the lion. 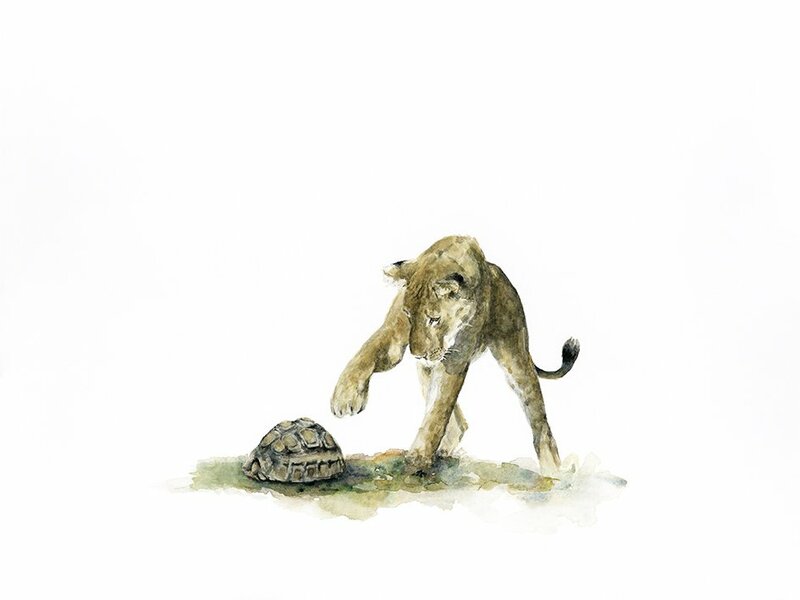 Surpassing all other predators, their weight and size is much greater than Africa’s other big cats. Leopards are next in weight, but cheetahs are next in size. 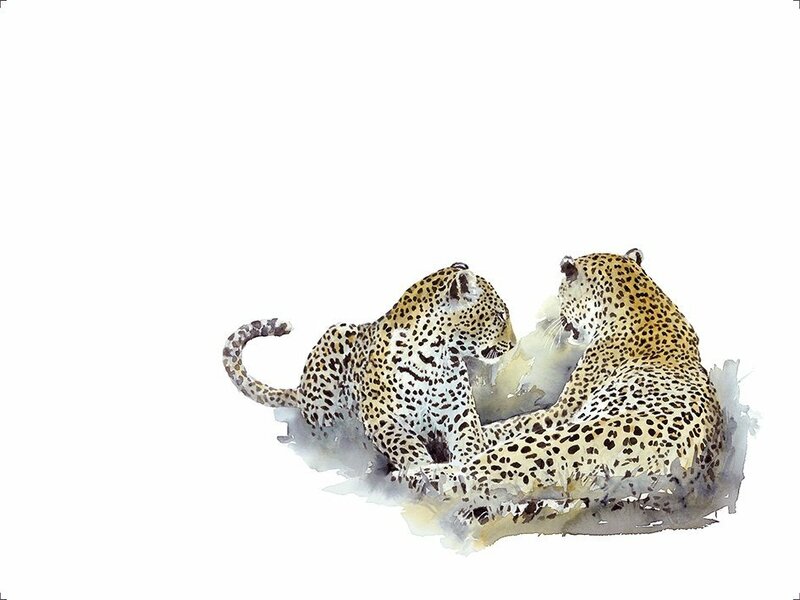 However, leopards are much smaller, but they are more compact. Cheetahs are tall, but very slim. Lion males are much larger than lionesses, and have a thick mane. Females don’t have a mane. Varying in colour from a ginger, to brown, to black, lion manes can be very impressive. The function of the lion’s mane is to make him look larger and therefore more intimidating to rival males, but also to protect him from the claws of his rivals in a fight. Fights between competing lions are legendary. This is where the expression “Fur Will Fly” originated. Male lions are often left with fatal wounds after such a confrontation. Victors always take over the territory and, in most cases, the females of the resident prides.